Thank you for all the people who came to the organic dinner live show held on May 26th Saturday and the staff of the restaurant Orto of Aoyama President Hotel. 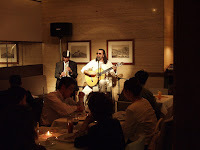 The collaboration of Latin music live show and a full course dinner of Latin organic foods attracted new people to Latin music and Alexander's music very well. As far as seen during the show and answers to the questionnaire distributed after the show, the new comers also enjoyed it much. That was a great outcome for Alexander's and Latin music. And also, thank you very much for presidents of several companies supporting Alexander for long. It was very appreciated that they came to the show although it was a busy time toward the end of the month. Due to the good results of the first collaboration between Alexander and the Restaurant Orto, another organic dinner show will be held on June 30. 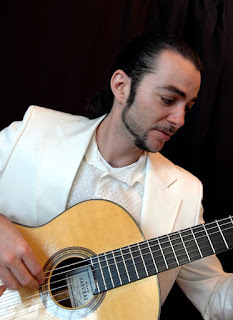 The dinner will be Organic Cuban cuisine and the music is also full of Cuban music played by four musicians. The details will follow soon. For the people who missed in May, hope you can make it to June 30! 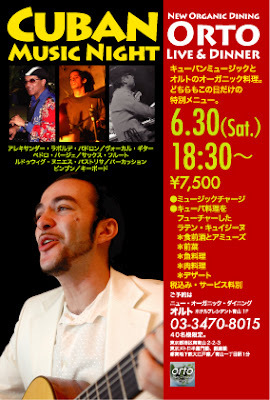 Alexander's blog on his professional activities has been changed to this page, http://alexanderlp.blogspot.com/ , from last year's http://tokyosalsa.exblog.jp/. This page will be used for announcements of his concerts/live and other professional activities. On the other hand, the old page of http://tokyosalsa.exblog.jp/ will continue to be used as a private diary blog of his life and his around. Thank you!